Well, they can’t fight on the terraces at football anymore, for fear of being kicked out. Football knows who they are, whilst we make no attempt to ID our customers. They can’t battle at the cricket, or the rugby. This leaves Racing, as the new battleground for thugs. So whilst you’re selling them as much beer as they can stand without care for anyone else’s view of said policy, – consider this. You’re creating a favourable environment for hooliganism to flourish in Racing. Bookmakers who work in betting rings will tell you stories of fights they have witnessed at almost every racetrack they attend. Personally I’ve witnessed in the enclosures fights at Newbury, Epsom, Ascot, Goodwood, Sandown, Cheltenham and Newmarket. Odd that I’ve never seen a fight at York. Perhaps the people of the North have more class. Fights north of the border simply don’t happen. Want to look at someone’s girlfriend in Scotland? By all means, isn’t she lovely? Scots folk don’t suffer from the colonial daft mentality of the South. It’s hard to pick one of those fights I have seen as the worst. I suppose for me the ten minute fight beside the winning post (in the ‘members enclosure’ ) on a warm day at Sandown as possibly the worst example, although it’s a bunch finish. Whilst folk that Racing should want to attend stood watching in horror as this melee continued unchecked. Little wonder so many don’t come back. That’s when I took the time to find out what arrangements Racetracks have in place to protect the Racing public from these thugs. Most tracks employ ‘rapid reaction’ teams to deal with brawls. These are specialist trained individuals. 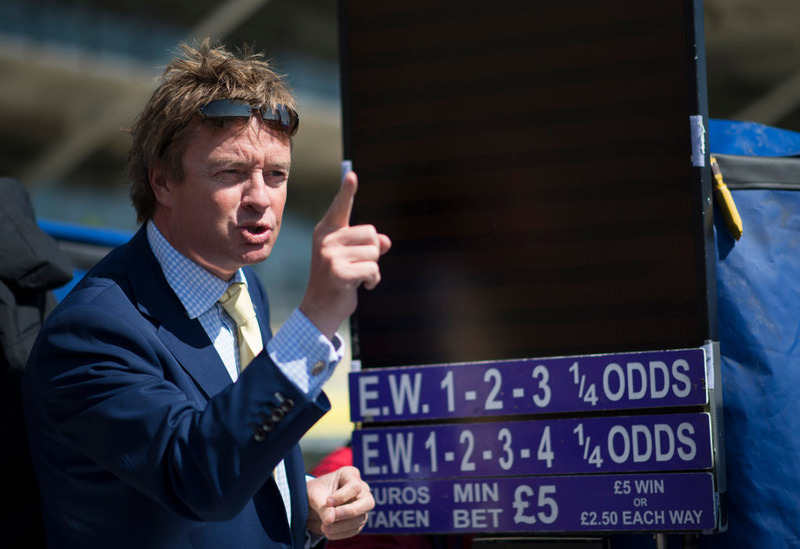 It isn’t generally known that regular raceday staff, to include stewards, will not involve themselves in breaking up fights, and at such low rates of pay, why should they? The ‘Rapid’ force took ten minutes to arrive at Sandown. In the guise of one impressive individual called Nigel, who saved Sandown’s blushes. He was of such girth he was able to break up the fight single handedly. The rapid reaction force, which had been observing the group involved for some time on monitors, were at the other end of the track. There aren’t enough of these intervenors. Tracks want to plunder drink profits, without ensuring the safety and comfort of attendees, by employing sufficient trained security personnel. Some facts about fights we are aware . Most tend to occur on hot days, and involve drunken groups of men, or these days on drugs, quite often egged on by inebriated women! Today’s female can be as aggressive as the male. Racetracks base their finances on food and beverage sales, which is why they favour Saturday meetings. Nobody appears to be in control of what racetracks get up to. Not the BHA, local authorities, nor the Gambling Commission. Children see these fights, that’s our future. Old people (and the not so old) witness them regularly and have to share enclosures with these unpleasant groups. It must be a sobering and even frightening thing to be so close to. These are race fans too, very often members, but track executives pay them little mind. Their money is already in the pot.This isn’t me being cynical here, there’s absolutely no evidence management give two hoots about people there to view the horse and just the horse. Newmarket has earned the deserved reputation for the worst excesses of brawls, on Jockey Club land. It’s doubtful any of the executives, who head straight for corporate boxes, witness any of these events occurring, far less care. One, the impact on the environment of tens of millions of plastic cups. What happens to all this once used material? Hard not to assume it ends up clogging our seas and killing wildlife. As such topics gain more exposure, it’s not something being discussed in Racing. Second, why are we not discussing the throwing out into the local community of thousands of drunken individuals? I wonder what it must be like for those living proximate to UK Racetracks at closing time. People being sick in doorways, disheveled, shouting and aggressive. We are supposed to be part of the community. Jockey Club are simply irresponsible when it comes to sales of drink. I’ve witnessed first hand over many years totally uncontrolled sales of alcohol, to often clearly drunken individuals, by temporary staff literally pumping out the beer. Jockey Club’s reaction to the fight culture? Let’s serve everyone their drink in a plastic cup, perhaps so no-one gets ‘glassed’ on our racetrack. Let’s not sell tickets to children in case they see drunken people carrying on alarmingly. Yes, that’s another scheme they came up with. It’s a perverse management that thinks this way. I read recently comments by Simon Bazelgette, the Chief Executive of Jockey Club, telling us we need to do more to encourage people to the sport. So his business plan is to overcharge them at the turnstiles, to park. Sell as much beer as people demand. Preside over many brawls on your properties, and see more people Racing is it? I guess that’s why 75% of those who come Racing, only go once according to statistics. A poor success rate. Whilst I do not attend Arena Leisure tracks, I’ve heard of major incidents at Lingfield and Chepstow. The problem is pandemic. The most recent brawl took place at Goodwood. If you have the stomach – view the video links below. This isn’t the first major fight at that track. No sanction has ever brought on Goodwood. I have included this shocking video because it’s vital that Racing understands and accepts its need to control the excesses of racetracks- alcohol has a social cost. The scenes are graphic. I think you should try to watch it, because we all need to act together to force social responsibility onto our tracks. Is this a ‘society problem?’ And therefore not the fault of the tracks? Surely we do not need to re-invent the wheel here. Rugby isn’t afflicted by Racing’s malaise. Wimbledon focuses on delivering a quality service and a great show to their clientele. They’re not interested in beer sales over quality. That’s the ideal we should seek. But what of the Regulator? The British Horseracing Authority? In any other sport, tracks or venues would be fined, sanctioned, even had their licenses suspended or removed for such failures. Why is the BHA in absentia? They’re supposed to control matters for the benefit of all of the racegoers, and the good image of the sport. To date absolutely nothing has been said from that body on the subject. I am disgusted at their failure to take firm remedial action on Racetracks, but not totally surprised, given the make up of the BHA board and the influence racetracks have on British Racing Chiefs. Many years ago, Football was forced to the negotiating table to deal with its hooligan element. Chairmen of clubs accepting that blaming matters on society was no longer acceptable. Those who attend games are identified. Transgressors are punished by the forfeiture of their seats. Grounds are stewarded by the clubs, at their own cost, with the involvement of police minimal. As a result, football has re-invented itself. I’m quite comfortable to take my children to any football match. I wouldn’t take them to Epsom. Ever. It’s a vile, aggressive place. Fights are routine. Racetracks might well base their finances on alcohol, but that doesn’t make it right. No more than its dependency on FOBT’s. We needn’t be sympathetic to Goodwood, Epsom or Newmarket or put up with mass brawls because they need to make more money. And most certainly – the Regulator of Racing, the BHA, has to engage forcefully, and yes Goodwood should be punished immediately for its security failures here. Only racegoers can be seen trying to break up the brawl. We don’t all want to share our Racing experience with folk too inebriated to stand up and I certainly think it’s a disgrace our children should find themselves outlawed from the sport in favour of alcohol. Well argued and another good read from yourself . Keep up the fight Mr Banks , full respect to you. Next Next post: I guess now they’ll start laying bets?